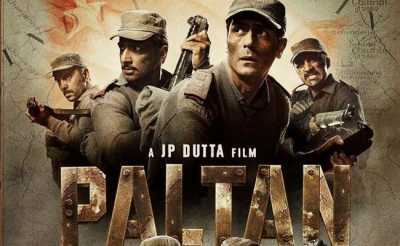 Paltan (English: Platoon) is a 2018 Indian war film directed and produced by J.P. Dutta, based on 1967 Nathu La and Cho La clashes along the Sikkim border after 1962 Sino-Indian War. It stars an ensemble cast with Jackie Shroff, Arjun Rampal, Sonu Sood, Harshvardhan Rane, Esha Gupta, Sonal Chauhan and many more. The film was theatrically released on 7 September 2018.